A former Oxford student and co-founder of the university’s Rhodes Must Fall campaign has reportedly been caught on camera lashing out at a white student during protests against higher education fees in South Africa. Ntokozo Qwabe, who last made headlines when he refused to tip a white waitress until “you return the land”, did not deny using what he called his “protest stick” in the video, but said he only wished he had “whipped the white apartheid settler colonial entitlement out of the b******”. 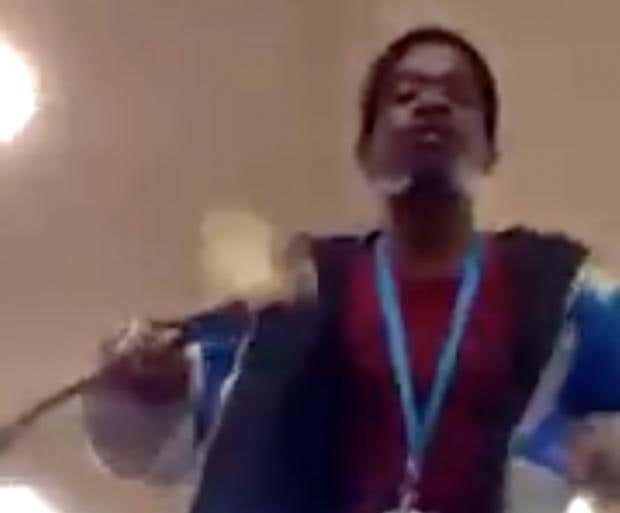 Video posted to social media appeared to show Mr Qwabe standing on a table in the law faculty of the University of Cape Town, one of a number of institutions across the country hit by protests in recent weeks. According to the Times Live, Mr Qwabe said he was involved in a “shut down” of the “arrogant” faculty when a white student started filming the protesters on his mobile phone. The footage shows an argument over the filming, before it ends abruptly when Mr Qwabe appears to lunge towards the camera with a stick. Writing on his Facebook page, Mr Qwabe said it was “not true I assaulted or whipped with a stick a white student”. He said the only acted to knock the phone out of the student’s hand. 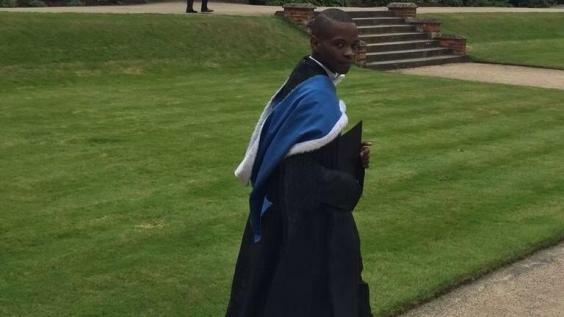 “He picked it up and continued to video‚ at which point I came closer to him and told him to switch it the f*** off,” Mr Qwabe said, at which point the student “then kindly put it back into his pocket”. Mr Qwabe rose to prominence in the UK when he helped start the movement calling for Oxford University to remove its statue of the colonialist leader Cecil Rhodes. A Rhodes scholar himself, he said forcing black students to walk past the statue outside Oriel College was a form of “violence”. In June, he caused outrage after saying on social media he had made Cape Town waitress Ashleigh Schultz cry “typical white tears” after he wrote on a cafe bill: “We will tip when you return the land”.